With 5 kids, the thought of preserving every kid’s artwork and treasures at times can overwhelm me. These tips and creative ways to preserve memories for your kids are going to help a ton. I know my kids will appreciate it when they are older and I’ll be glad I did it! 1. Love this DIY Memory Box! Here. 2. DIY Memory Jar. Here. 3. Save their old t-shirts and make a T-shirt quilt. Here. There’s a great book if you’re wanting to learn more about these HERE. 4. First Day of School Photo Idea. Buy a large t-shirt and watch them slowly grow into it! Here. 5. Create a portfolio memory book! Here. 6. Here’s a great system to keep all those papers and pictures organized and safe! Here. 7. Preserve Kids’ Art in their own storybook. Here. 8. Every kid says adorable things. Start writing them down and fill up your jar! Here. 9. Turn your kids’ clothes into an adorable Teddy Bear. Here. 10. Download these printables to help you get organized! Love these! Here. Keep Going for Ten More Ways to Preserve Memories for Your Kids! 11. Savor the details and create a memory box. Here. 12. Make a Christmas Ornament, with your kids’ accomplishments for the year. I would switch this up a bit and use clear ornaments and cut out vinyl with my Silhouette. Here. 13. Fill a shadowbox with toys they no longer play with. This would make such a fun room decoration! Here. 14. Keep a sample of your child’s handwriting each year. Here. 15. Step by step instructions on how to make these keepsake bags! Here. 16. Use an app to help save kids’ artwork? Can’t get much easier than that! Here. 17. Keep your child’s art close to your heart at all times. Personalized Jewelry here. 18. Scan your child’s art and put them all into a little book. Perfect for Grandparents! Here. 19. Measure your kids through the years. I love how this is on a separate board and not the wall, in case you ever move you can take it with you! Here. 20. Create a unique First & Last Day of School Photo! Not feeling quite so overwhelmed now. Off to get my kids’ treasures rounded up! Have short hair? Here’s how to rock it! 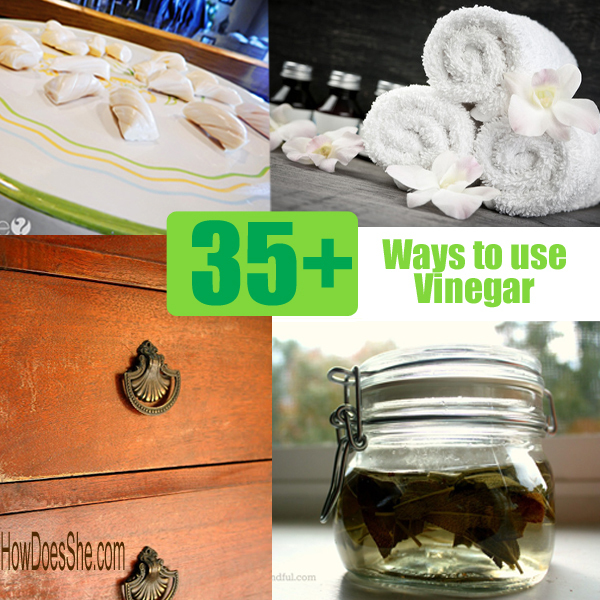 35+ Ways to Use Vinegar. Some of these might surprise you! I LOVE a lot of these. I used to do the photobooks like shutterfly and peekaboo. I actually use werstars now. It’s hard to explain but a cool site/app that’s perfect for this. Basically, you can see your life on a page in sort of a digital calendar. Each time you add a memory like a photo, a star is put on your page for that day and date. But when you add memories – like first day of school – I post it to my page and tag Rebecca, so the star appears on her sky too. When she gets older, she’ll have access to her page to see her childhood things, then she can also keep adding to it. If you go to youtube and watch the werstars intro, you’ll see what it looks like.